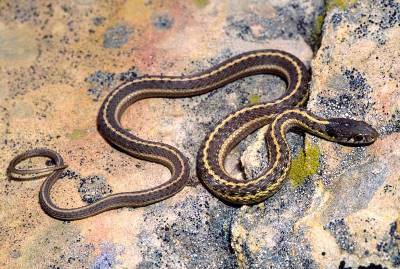 Ever wonder what the difference is between the snakes in Southern California? 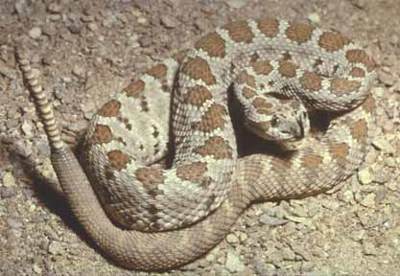 Notice, the Gopher looks almost exactly like the Rattlesnake. The only real difference to the layperson is the head and the tail. The Garter's marking are odd when one considers the terrain, and colouring. Valuable in controlling rodents and venomous snakes. 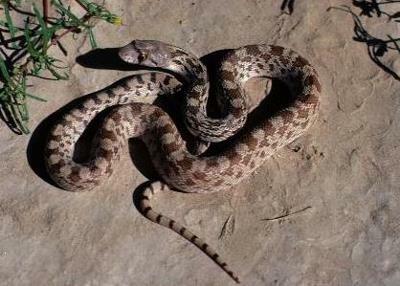 Presence of king snake nearly assures absence of rattlers in area. In the presence of a king snake a rattler will neither strike nor rattle, but will lay with head low and raise center part of its body in a loop, with which it will strike heavy blows to the king snake.